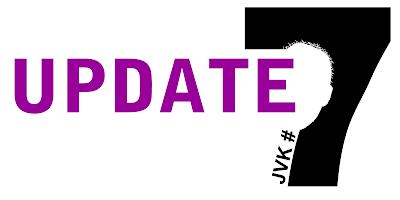 The seventh installment of the JVK not-so-trilogy is finally here! "Finally" I hear you gasp, and I totally agree. Things went a little crazy after I did the sixth one, but I'm here now and I've done it. Praise me, or whatever. So, here it is. You'd better enjoy it, it's been over six months in the making! Now Jørgen is in a proper storyline, he's lost his job after a very bad April Fool's Day prank and is now looking for the two top jobs in Denmark: CEO of Lego, and CEO of Mærsk. So that's it for now: I hope you enjoyed that. 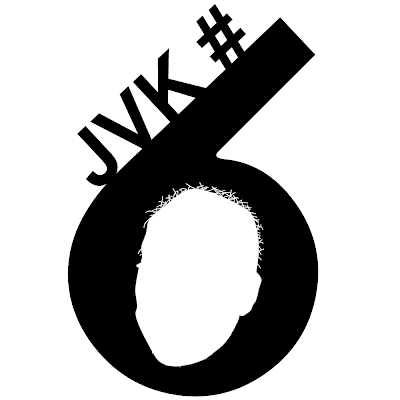 Expect JVK #8 sometime soon (hopefully). I can't believe I actually said that: I never thought I'd get this one done. ps. No offense meant to Nannan: I just needed someone recognisable to put in, and I had already comic'd up his picture, so to save time I used it. Welcome to a short update about the next Jørgen Vig Knudstorp comic, episode 7. Basically, I drew up the basic storyboard upon which I base the comic for #7 some months ago, and since then I've been caught up in schoolwork, tests, essays, going to Ypres, going to a drama workshop and various other thingamyhoops. The tests are slowly stopping now, and in three weeks I'll be on holiday, for 6 long weeks of no school. However, I want to get #7 done before then, and I've made quite a bit of progress in the last two days - whereas before that #7 was just a set of frames and layout. Now there are character heads and most of the bodies. 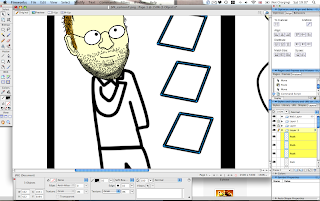 Below is a screenshot of editing the bodies. What's the plot? Well, I can't tell you or I'll be breaking the secret law thing, but I can say that this is the start of a long plot. Yup, the JVK comics are now all going to be following on from each other, and #6 is the start of that story. 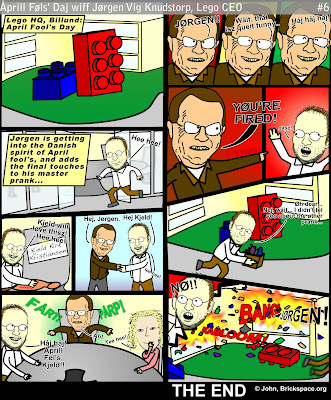 Jørgen has now been fired, so what next? Here's a delightful behind-the-scenes video of how JVK6 was made. #6 is more important than the rest of them since it's the first one to be shown on none other than The Brothers Brick! Wahoo! Music is 'Trenches' by 'Koriigahn'. Jorgen Vig Knudstorp #6: Aprill Føl's Daj! Jørgen entertains himself on April Fool's Day. 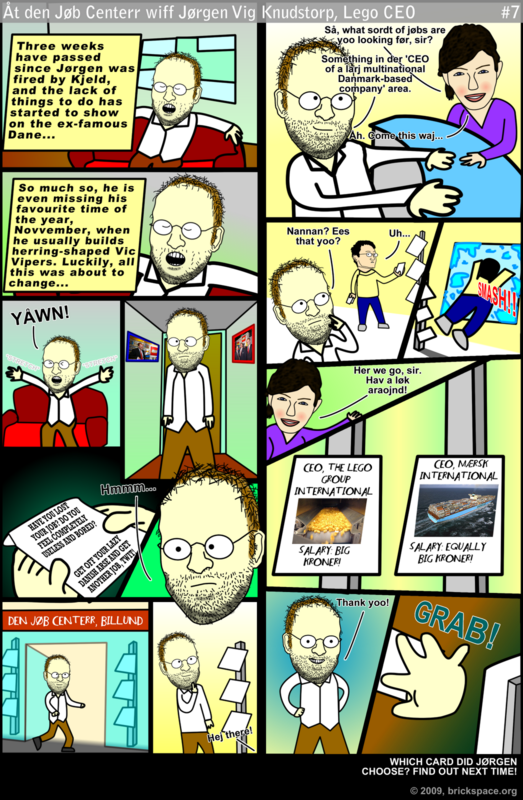 For those of you who can't see the comic above, do not fear! It is in its glorious JPEG (JørgenPEG) format on my Flickr . Enjoy, and stay tuned for a behind-the-scenes video... coming soon! It's coming... Jørgen Vig Kundstorp #6! It isz tiem to jøin den Cåmpæn! 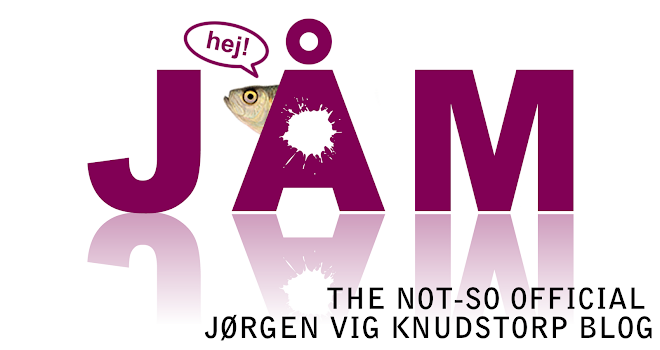 This blog, Jåm, has launched its first campaign: to get as many people as possible to repsect the Vig Knudstorp. We're doing this by releasing downloadable stickers, posters, buttons, banners, icons and whatever else the general public needs to show their love of the Vig Knudstorp! Our first batch of Jørgen goodies is the 'Do not mock the Vig Knudstorp' adverts. You can find them all on my Flickr page here. You can print off a little business card-sized poster and swipe it out every time someone mocks the Vig Knudstorp. You can download our first free wallpaper, and be reminded of the epic-ness of the Vig Knudstorp whenever you're on your computer. And you can also print out a circular sticker to stick on Vig Knudstorp-haters' heads, hands, computers, bags, valuable, lockers, feet, mothers, whatever. Get the message out there. So how can you get involved in this campaign? Easy. Download and print off any of our campaign stickers, put them somewhere to show them off, take a picture and upload it to The Official Jørgen Vig Knudstorp Fan Club over on Flickr. We're trying to get as many pictures as possible. So what are you waiting for? For the love of Jørgen, go go go! Let's get Jørgen with it! 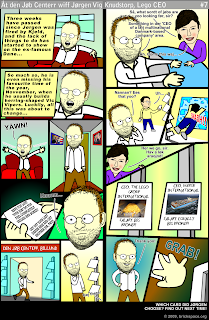 This blog will release a new comic every month, each with more Jørgenish goodness! But please don't forget Jørgen's birthplace, Brickspace.org. Thank you!